Posts imported from the old Seomra Spraoi Blogspot page. 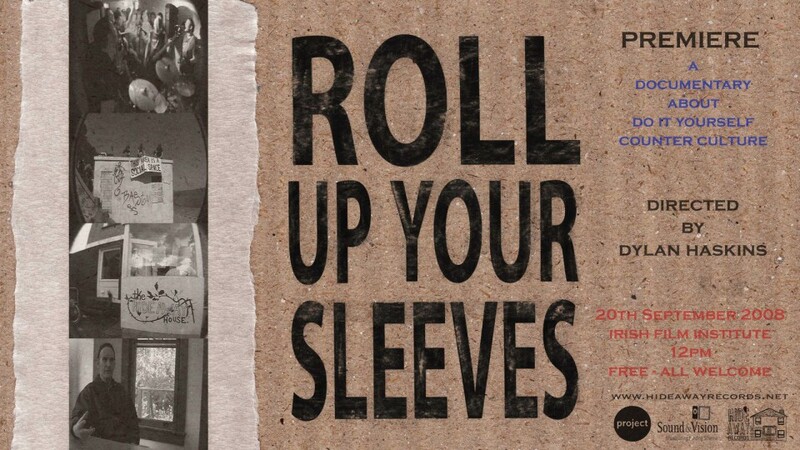 Premiere of the new documentary â€œRoll Up Your Sleevesâ€ (27 mins) about Do It Yourself counterculture is taking place this Saturday 20th September at 12pm in the Irish Film Institute on Eustace Street in Temple Bar. The event is FREE in and all are welcome. It will also be showing on Dublin Community Television later in the year. The debut film from 21 year old Dylan Haskins and a group of his friends was two years in the making. The documentary is a colourful exploration of the phenomenon of ‘Do-It-Yourself’ counterculture from the starting point of his own group of friends and their local alternative community. The journey of discovery leads Haskins to drive a US folk punk band on their European tour and looks at the relationship between DIY ideology and european autonomous social centres. This is contrasted with the Seomra Spraoi social centre project in Dublin and the problems they face. Independent music features as a thread throughout the film. Interviewees include Ian MacKaye of legendary alternative bands Fugazi and Minor Threat, Ellen Lupton, author of DIY: Design it Yourself and Curator of Contemporary Design at the Cooper-Hewitt National Design Museum in New York, Ellie and Louise Macnamara of young irish band Heathers and members of long running Dutch experimental punk band The Ex. Go n-Ã©irÃ­ on t-Ã¡dh libh! Just a quick note to let you all know that the long search is finally over and we have found a space. We’re setting up home at 24 Middle Street. At the moment we’re working on painting the place and trying to fill it with donated items (computers, furniture, instruments etc). We are having a celebration fundraising gig in the Warrick, Salthill next Thurs 14th. Intinn and Flo are playing. We’ll forward on the poster in the coming days. Our open day will be on Sat 16th from 2pm. Please do pop down for a look and spread the word! Sooo much happening! Exciting times! Hope to chat with you all soon! It’s been a slow process finding a new Seomra but we are close. More details about that will be coming soon so watch this space for updates. With each move we have grown and have seen more people taking an interest and getting involved in our project. Mary’s Abbey saw a huge surge in involvement. We were surprised and inspired by the diversity and imagination that was present in the wide range of projects that grew up in the little gap in Dublin’s concrete that Seomra Spraoi provided. Mary’s Abbey wasn’t just a place for meetings or having a good time at the weekend. It became a focal point for action, a place to perform, a space to be creative, and perhaps most importantly of all, a place for people of different backgrounds and nationalities to discuss and have lively arguments about anything, from politics to the music of Stevie Wonder. The reactions that users of the space had to our shutting down re-asserted the desperate need for such a place, and our duty to keep the project alive. We were rarely short of people to help out or of donations to pay the rent and the bills. We are committed to rebuilding the project and we encourage new people, and people who were involved in the project before, to come and support us now. We say this every time we start in a new premises but it’s true â€” now is a great time to get involved. A new building provides a new opportunity for people to begin with something of a blank slate. It’s been seven months since Seomra Spraoi closed its doors at Mary’s Abbey for the last time. The drama and disappointment that came at the end of that amazing experience created a space for reflection. Since then we have been getting back to our roots and re-evaluating the project. A new organisational structure has been put in place. General collective meetings will now be held monthly with four working groups feeding into that meeting. Each working group is taking on specific tasks related to different aspects of the project. These working groups give people a chance to give a more focused and less time-consuming commitment to the project. The next general meeting is on Thursday the 3rd of July at 7:30 (venue to be confirmed). Alternatively you can email us on seomraspraoi@gmail.com if you are interested in working with us on the project. Scoil Spraoi invites you to our first Social Centre gathering, on April 11thâ€“13th! Social Centres have been an important and stable development of social movements. Social Centres create space for meetings, workshops, benefit gigs, not for profit cafes, libraries, internet access, craft activities, bicycle workshops, self-defence training: the list goes on. What more can we use them to do? What forms of collective activity do they make possible? What forms of resistance emerge form such a social space? What are their limitations? We have part of the answers to these questions in our collective experiences. This is a chance to share, discuss and debate those experiences. We keep on learning. 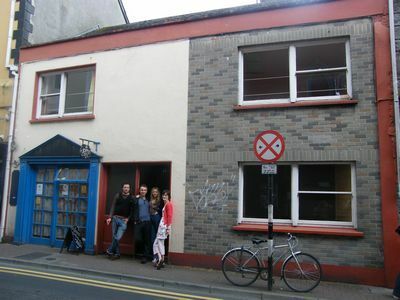 The collective is highly organised, with around 30 people managing the social centre, via working groups, and an open meeting of the collective every Thursday. This gathering coincides with a European wide call for â€œdecentralized days of action for squats and autonomous spacesâ€ â€” a weekend of discussion & action in defence of free spaces. We want to make autonomous spaces and social centres more visible as a political movement. We want to develop interconnections and solidarity between social centres and autonomous spaces. We want to keep linking our spaces with new people and new struggles, and support the creation of autonomous spaces in places where there has not been a history of this kind of action. â€¦will kick off around 7 and is shaping up to be a nicely chilled and fun evening. The venue for the gathering is CASADH, 19 Newmarket Square, The Coombe. Click on the map below for a larger graphic. it is used as a drug rehabilitation centre during the week and drugs/alcohol are not allowed on the premises at any time. So far we have individuals who will tell us about their experiences of working in autonomous spaces and social centre projects in Italy, Poland, Germany and Seomra Spraoiâ€¦more presentations to be confirmed. Dinner will be provided by the skilled â€™Peoples Kitchenâ€™ collective. If you think youâ€™ll be arriving late let us know and weâ€™ll try to keep food for you or if you have special dietary needs, again, do let us know. Lunch and dinner will be provided on Saturday also. While weâ€™re chowing down weâ€™ll chill out watching some short movies on various international social centre projects. If you have an interesting short documentary that you think we could show feel free to bring it along. Saturday will be broken into 3 discussion sessions â€” each session will deal with a variety of themes â€” we are currently working on the structure of the discussions to enable full participation so please mull over these topics â€” we wanna know what you think! Can we make social centre spaces free from oppression? How do we deal with behaviour and language that perpetuate oppression? Why do it without leaders? How can we increase democratic participation in social centres? Avoiding the ghetto and increase accessibility. How can we broaden the appeal of social centres and not just serve the needs of the familiar activist scenes? Can Irish social centres remain truly autonomous in the face of bureaucratic challenges? How do we raise finances without being limited or diverted in our aims? How do we see the role of social centres in social movements and wider revolutionary currents? Are we just providing services that the government provides? How do social centres develop their politics? What ways can we support each other in creating social centres and other spaces? Social centres as places of skill sharing and popular education? In what ways can we tap in to the full potential of social spaces to share and develop skills; inspire and create amongst each other? How can we create temporary autonomous zones? What role can social centres play in campaigning and taking action to reclaim spaces? A fun and kid friendly picnic marking the privatisation of public space. We’re encouraging creative participation so get any costumes out and start making banners! If you need somewhere to crash over the weekend please email us â€” seomraspraoi@gmail.com â€” and weâ€™ll try to sort you out. 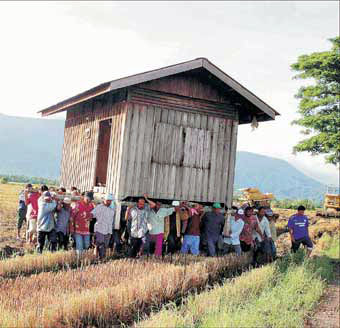 There is limited space so we canâ€™t guarantee everyone a place but weâ€™ll do our best to sort you out. Seomra Spraoi is continuing to look for a new home, if any of you are aware of somewhere suitable in Dublin please let us know. 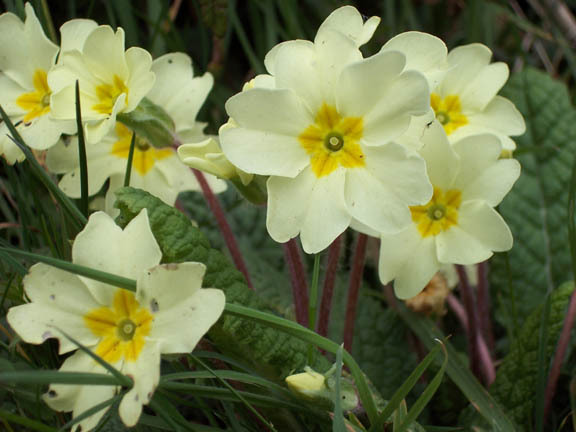 Weekly meetings take place at 7.30pm on Thursdays – the location varies so get in touch for directions. Similarly, if you are involved in any groups or activities which have used Seomra Spraoi in the past send on any details of your current activities. We can put them up here on the blog and let other Seomra Spraoi friends know what’s cool and happening in the city! The Seomra Spraoi collective continue to meet weekly on Thursdays at 7.30pm. 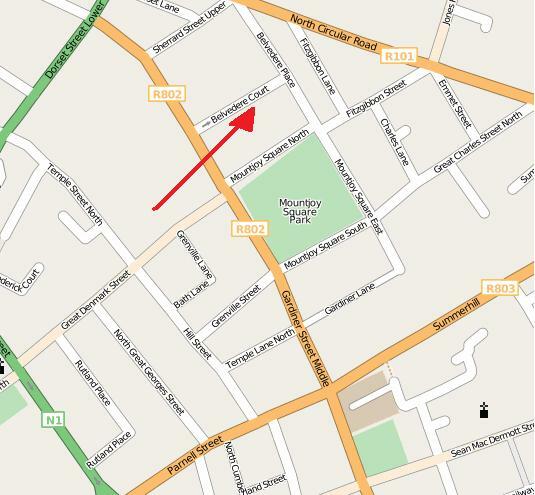 As we have now moved from Mary’s Abbey, there is no fixed meeting place. Anyone interested in attending please get in touch and we will notify you with regards to meeting locations. Alternatively keep an eye on the events calendar on indymedia.ie. We are looking at a number of different possible new locations and hope to re-open as soon as possible. Now, more than ever, all help and assistance is needed. The energy and spirit of all involved in Seomra Spraoi is as strong as ever. Watch this space for further developments! Seomra Spraoi (& the entire building in 4 Marys Abbey) was closed down by the Fire Authority last night. At 8pm around 10 Police and 4 Fire Officers arrived to inspect the space. Less than 10 people were present in Seomra Spraoi. The Fire Authority stated that the building did not meet fire safety regulations and closed the building. An hour was negotiated with the Fire Authority to move out any of our stuff we might need whilst we donâ€™t have access to the building. The Fire Authority were, supportive and apologetic, but ultimately had no choice but to close us down. Phonecalls went out and around 30 people supporters arrived within the hour in solidarity and to help move out stuff we might need. Around 20 people from the Seomra Spraoi Collective reconvened for an extraordinary general meeting (at midnight). We see this as a temporary setback and obviously agree that weâ€™d like the building to be fire safe. We have booked a fire consultant to see what work needs to be done and will be working with the Fire Authority to get the building re-opened as soon as possible. Weâ€™ll be having a public meeting on Thursday to keep all the users of the space informed on whatâ€™s going on. Details of time and venue will be posted on Indymedia.